Gulf Coast Home Sales-Rentals: Four Seasons Condo For Sale in Orange Beach AL. Four Seasons Condo For Sale in Orange Beach AL. Property: 3 Bedroom, 3 Bath beachfront unit 1,600+/- sq. ft.
Four Seasons Real Estate Sales, Orange Beach AL. Four Seasons beachfront condo for sale in Orange Beach, Alabama. Enjoy the Gulf Coasts' only private gulf-front fishing pier extending out over the emerald waters of the Gulf of Mexico. West corner three bedroom three bathroom spacious split floorplan. Direct gulf front condo. This beautifully furnished unit features travertine tile flooring throughout, track lighting, crown molding, recessed lighting, granite countertops, all stainless steel appliances, updated cabinetry and fixtures, indoor plantation shutters, wet bar with sink and ice maker. Master suite offers private access to gulf front balcony with breathtaking views, luxurious spa like master bathroom features dual vanity with his and her sinks, garden tub, separate custom tiled stand up shower and sky lights for ample natural lighting. Four seasons is one of the most unique properties along the Gulf of Mexico. Having the only gulf pier on the Alabama Gulf Coast. The complex features a 702' private pier, guarded gate, indoor/outdoor pools, meeting room with kitchen, fitness room and sauna. Prime location. Just minutes to shopping, restaurant, beaches and more. Don't miss out on your opportunity to own a piece of paradise. Orange Beach Alabama has a year-round mild climate and is a popular family beach vacation destination on the Gulf Coast, the area offers an array of activities such as dolphin cruises, championship golf courses, charter fishing and nature hikes. Enjoy the freshest seafood available at the numerous Orange Beach restaurants featuring fine-dining to laid-back local favorites. 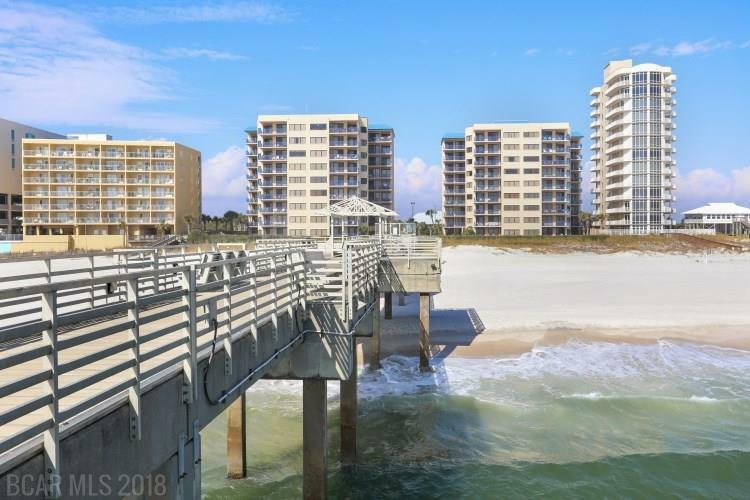 Via: Four Seasons Condo For Sale in Orange Beach AL.